In a city where music traditions are held sacred, the Rebirth Brass Band, anchored by leader Philip “Tuba Phil” Frazier alongside his brother, Keith “Bass Drum Shorty” Frazier, occupies a unique place in New Orleans culture. Over the course of three decades, the group’s R&B and funk motifs have redefined the standard for brass band music without losing sight of the music’s heritage. 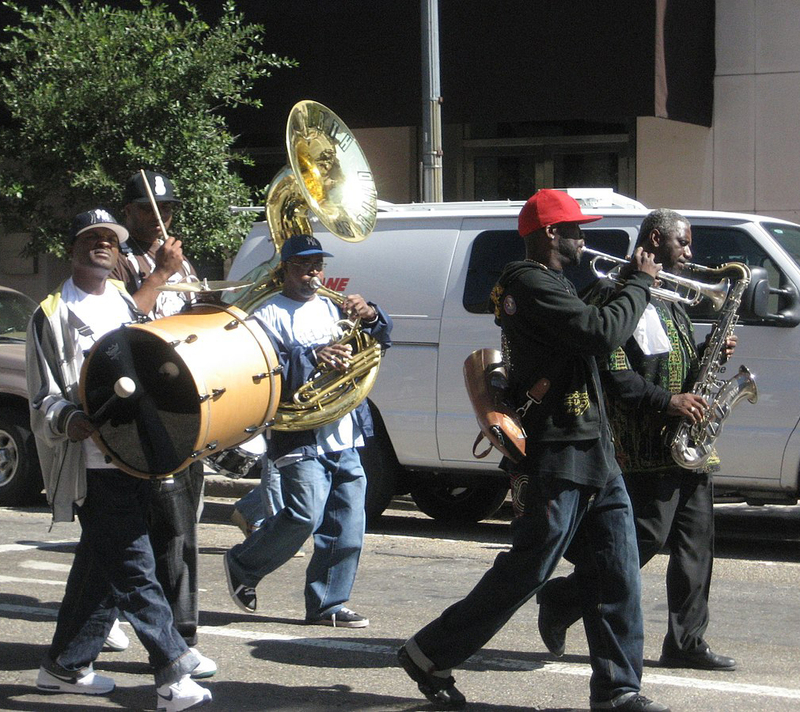 Rebirth’s profound influence on brass band musicians endures during second line parades and jazz funerals, and in classrooms and rehearsal spaces citywide. This according to “Rebirth Brass Band: Keep it goin’ like a heartbeat” by Jennifer Odell (DownBeat LXXXI/9 [September 2014] pp. 44–47). Above and below, Rebirth in action.